Metcalf will discuss the world of traditional publishing, including “the terms, resources, methods and madness” for writers aged 13 to 103! The free talk will be held at 6:30 p.m. at the library at 21 Tolland Green in Tolland as part of the foundation’s Eaton-Dimock-King Authors Series. Registration is required and can be done by calling the library at 860-871-3620 or by registering online at tolland.org/library. 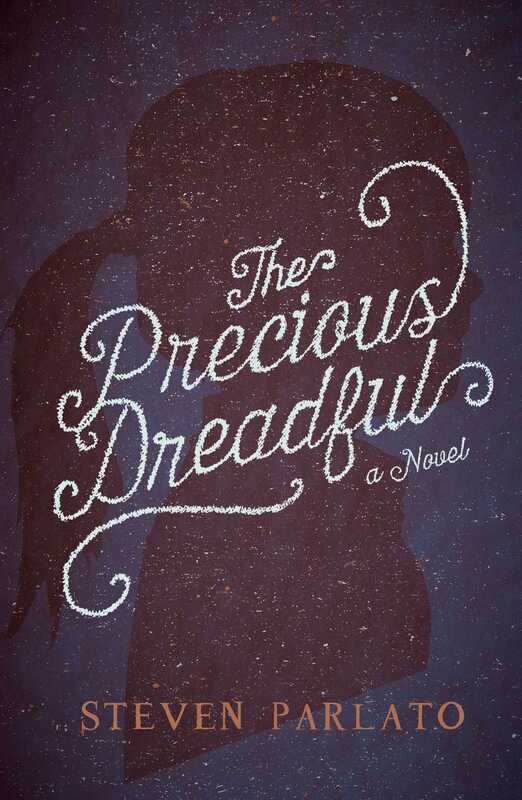 The author series has brought Pulitzer Prize winners Dan Barry and Steven G. Smith to Tolland as well as writers Susan Campbell, Denis Horgan, Caragh O’Brien, Dom Amore, Jeff Goldberg, P.W. Catanese, Cindy Rodriguez, Susan Schoenberger, Jane Haddam and Lucy Anne Hurston. The foundation was established in 1996 to receive donations to benefit the Tolland Public Library and to enhance library services beyond what the town budget provides. Tax-deductible donations can be sent to the Tolland Public Library Foundation, Inc., 21 Tolland Green, Tolland, CT 06084. This entry was posted in News on November 13, 2018 by Kate Farrish. 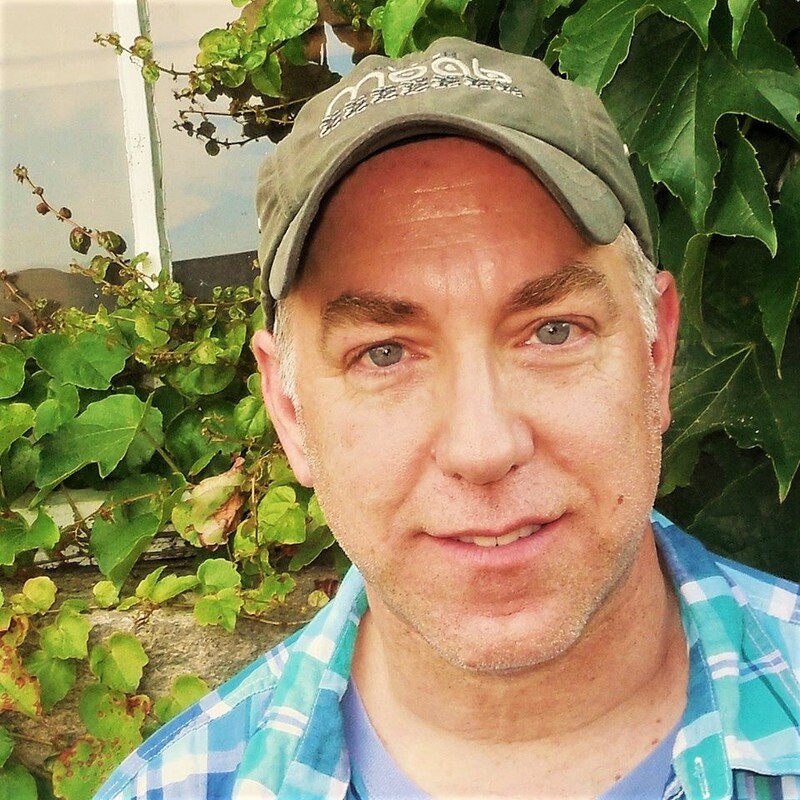 Parlato is a published poet, author, artist and an associate professor of English at Naugatuck Valley Community College in Waterbury, where he also lives. He will speak at the library at 21 Tolland Green at 6:30 p.m. The talk is sponsored by the Tolland Public Library Foundation as part of its Eaton-Dimock-King Authors Series. Parlato won the 2011 Tassy Walden Award for Young Adult Manuscript from the Connecticut Shoreline Arts Alliance for his first novel, “The Namesake,” which was published in 2013. 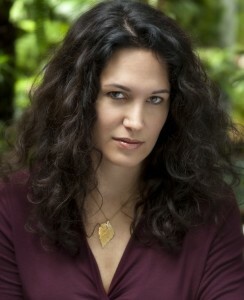 His latest book follows teen protagonist Teddi Adler and unveils the romantic and dramatic consequences that unfold when she joins a library literary group called “SUMMERTEENS.” Combining romance and humor with elements of the paranormal, the book’s been called a profound novel about one teenage girl’s decision to redefine her life in the wake of supernatural events. Parlato says the book is intended for teens 14 and up. The talk is free, but registration is required. To register, call the library at 860-871-3620 or register at tolland.org.library. Since 2010, the EDK series has brought well-known authors to Tolland, including Pulitzer Prize-winning journalists Dan Barry and Steven G. Smith, Jane Haddam, Dom Amore, Chris Knopf, Caragh O’Brien, Dawn Metcalf, Susan Campbell, Denis Horgan, Jeff Goldberg, Cindy Rodriguez, Susan Schoenberger and Lucy Anne Hurston. This entry was posted in News on September 2, 2018 by Kate Farrish. 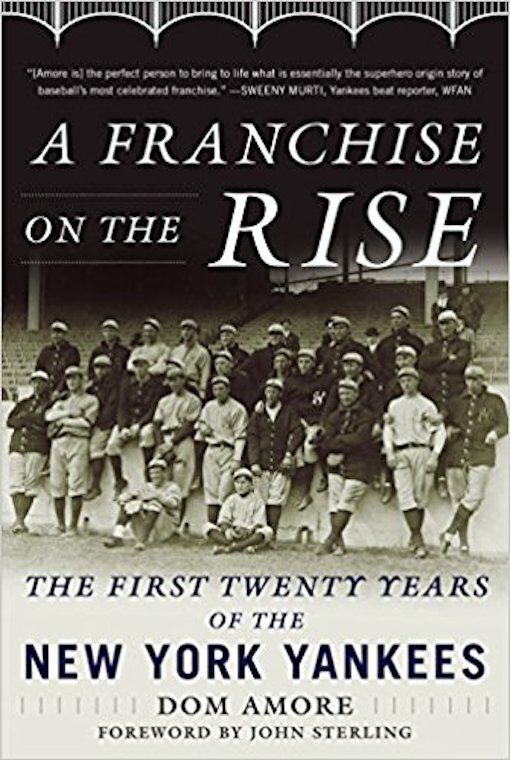 Hartford Courant sportswriter Dom Amore reports that copies of “A Franchise on the Rise: the First Twenty Years of the New York Yankees,” are flying off the book shelves. 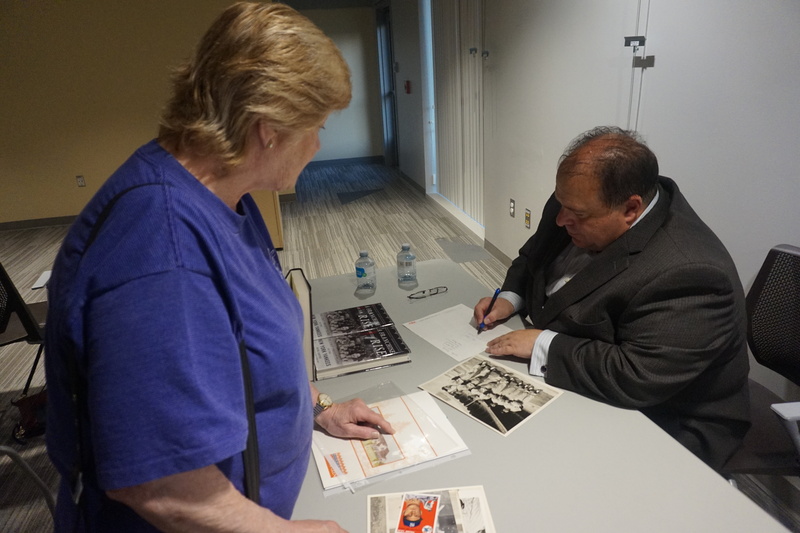 He will only have a few to sell at this free book talk this Thursday, July 26, at 6:30 p.m. at the Tolland Public Library, but Amore says if audience members bring the books, he will sign them. They can be purchased online at Barnes and Noble or Amazon. The talk is part of the Tolland Public Library Foundation’s Eaton-Dimock-King Authors Series. In its 115 years, the team has won a league-leading 27 world championships. Amore takes readers back in time to the era from 1903 to 1923, including the Yankees’ first ten years as the Highlanders, the move to Yankee Stadium and their first World Series in 1923. Amore vividly recounts the snowy night that Honus Wagner was offered twenty crisp $1,000 bills to join the new franchise in New York; the story behind the holes punched in the outfield fence to facilitate the stealing of signs in 1909, and why the team thought it may have had the next big superstar in a college football player named George Halas. 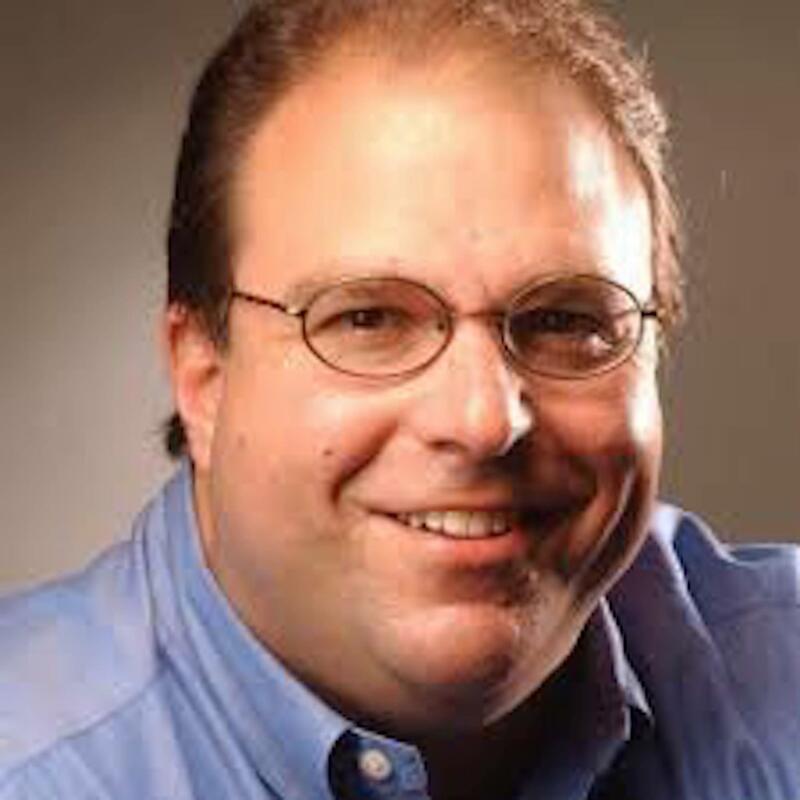 Amore is a twenty-year member of the Baseball Writers Association of America who has been writing about sports for Connecticut newspapers since 1982. 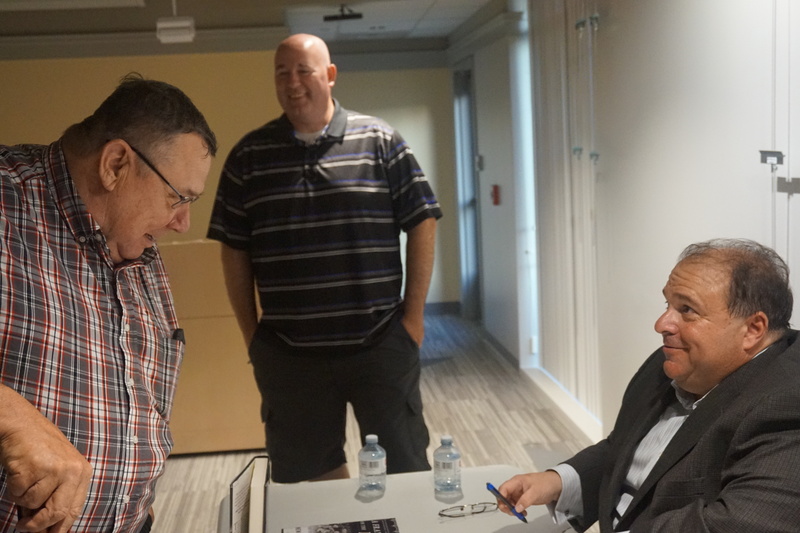 He has written for the Courant since 1988, covering the Yankees, Major League Baseball and baseball at all levels for much of that time. 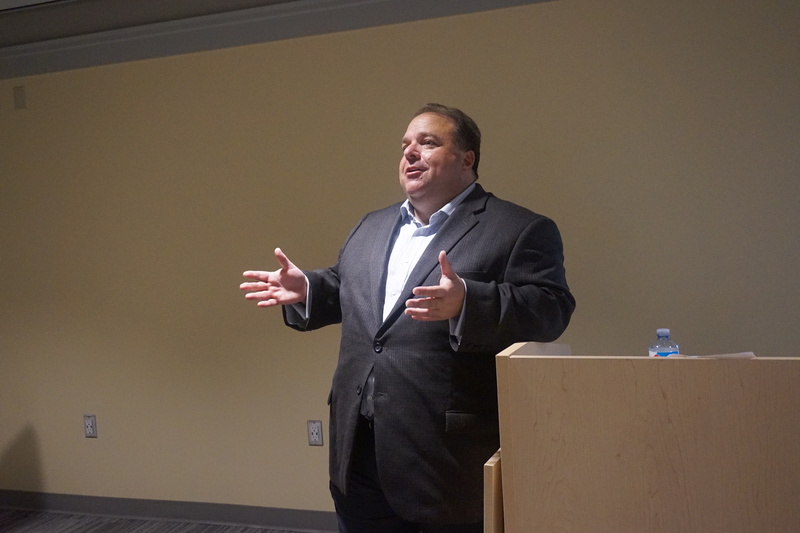 He has been named Connecticut Sportswriter of the Year four times by the National Sports Media Association and has won more than thirty state, local and national journalism awards. 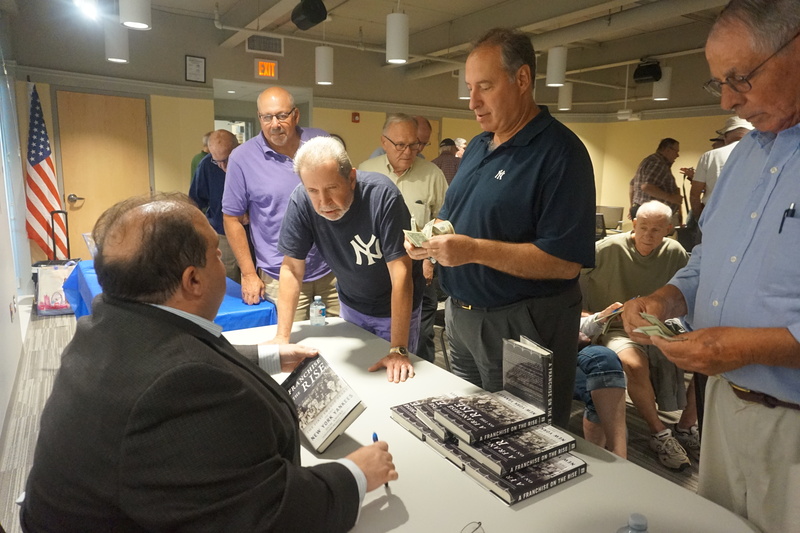 The book includes a foreword by John Sterling, who has been the radio voice of the Yankees since 1989. The talk is free, but registration is required. To register, call the library at 860-871-3620 or register online at tolland.org/library. This entry was posted in News on July 21, 2018 by Kate Farrish. Smith will speak at 6:30 p.m. at the library at 21 Tolland Green as part of the Eaton-Dimock-King Authors Series, which is sponsored by the Tolland Public Library Foundation. 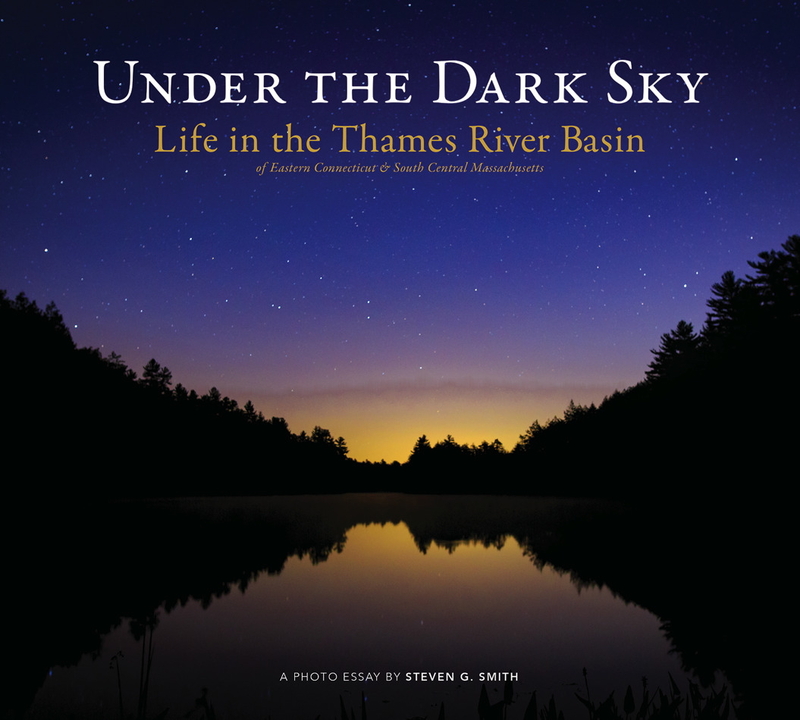 The book, published by Wesleyan Press and containing 92 vivid color photos, tells the story of contemporary rural life in eastern Connecticut and southern Massachusetts. 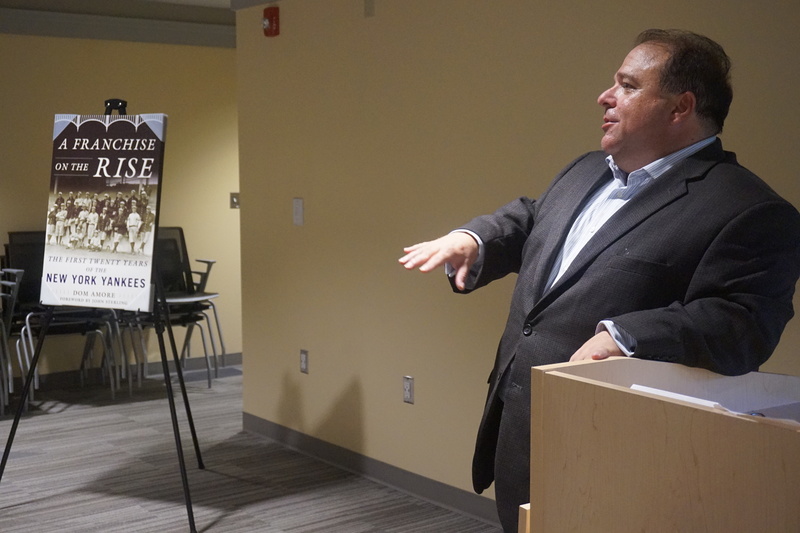 The book also contains a foreword by noted outdoor writer Steve Grant, who wrote extensively about nature and adventure travel while working as a journalist at the Hartford Courant for 29 years. 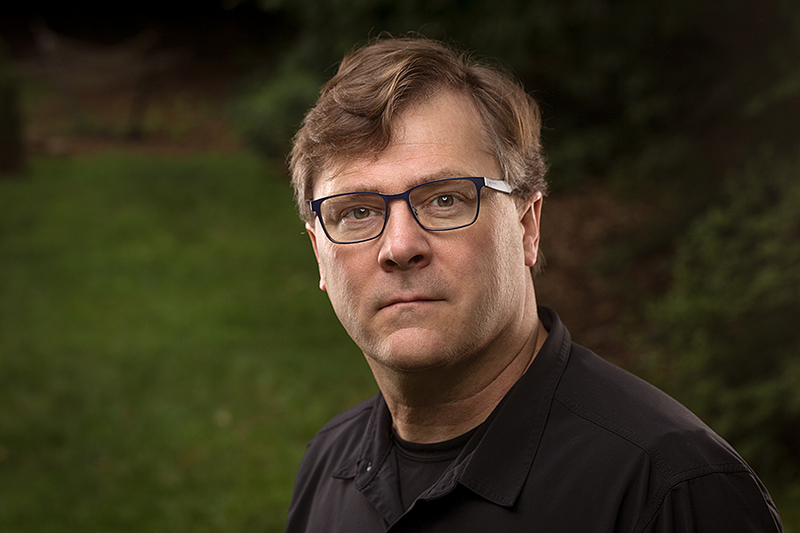 Smith is an associate professor of visual journalism at the University of Connecticut whose work has appeared in numerous media outlets, including The New York Times, CNN and USA Today. He shared in a Pulitzer Prize for coverage of wildfires in Colorado in 2003 for the Rocky Mountain News. Since 2010, the EDK series has brought well-known authors to Tolland, including Pulitzer Prize-winning journalist Dan Barry, Chris Knopf, Caragh O’Brien, Dawn Metcalf, Susan Campbell, Denis Horgan, Jeff Goldberg, Cindy Rodriguez, Susan Schoenberger and Lucy Anne Hurston. This entry was posted in News on May 19, 2018 by Kate Farrish.